As the internet becomes increasingly ubiquitous and reality moves toward the virtual, the emergent Cyberspace will almost certainly take on an urban form -- though it remains to be seen whether it will lean more heavily on the physical or virtual world. Either way, geography will become less and less binding as cities learn to connect in ever more complex ways, and we will likely come to understand urbanism as something very different from what it is now. 1. Marshall Berman's All That is Solid Melts Into Air is a double ode to Modernism and The Street. The Modernist Canon includes Dostoyevsky and Joyce, of course, but also Jane Jacobs. Urban vitality is supposed to culminate Modernism. Despite Jacobs and her followers (sometimes because of them), today The Street keeps loosing ground, through stale, celebratory urbanities. 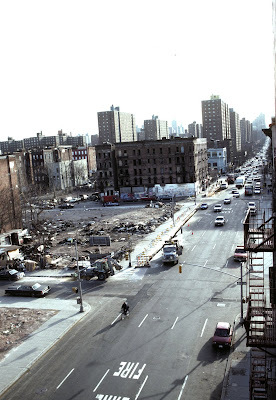 The Street is not only displaced or attacked anymore; it is manicured, mercantilized, neutered, over-regulated. Today, The Street is no longer The Street. The Street is The Web. 2. The Web has not only added to Modernist/Urban Canon. It is constantly reworking and dissolving it. The Web Canon is nothing like the usual Canon. The Web Canon is not about authorship. It is about the dissolution of Authorship, swaying back to a wilder communal mode or spirit (or rather a bunch of different communal modes and spirits bumping against each other constantly). (This is one of those eras of cultural dispersion we're entering, like the days of oral tradition or pamphleteering or independent broadcasting). What is Canon one day is forgotten the next. Some Canon never makes the cut, until it does. The Canon swallows every Canon before it. The Canon is The Web itself. 3. Anything cyber — cyberspace, cyberpunk, etc — reeks of Future Anterior and has a bit of that nostalgic (conservative) retraction from reality, even when dreaming up alternative realities. Incursions into cyber-whatever (Second Life urbanisms, virtual reality, etc.) are as much the future of The Web as digital renderings, parametric design and Dubai are the future of architecture and urbanism. Depending on where you stand, this means either everything or close to nothing. 4. Even when embracing and exploiting and dwelling on The Digital, any Networked Urbanism should recognize itself as deeply entrenched in everyday, physical, political, social and cultural realities. It should also acknowledge that it has significant, explicit, lasting effects on these realities. 5. I don't think geography has become "less binding". On the contrary, it's probably only starting to reveal its complexities. This is a matter not only of physical geography or distance we're talking about, but also of political and cultural geographies and distances. 6. The Web Canon might seem Western, but it's definitely not. 7. In one of the hundreds of Web Canon Classics (someone should start collecting them), Kevin Kelly discusses the production and spreading of digital content. He states that the impact of digitization will likely be most significant not in the Developed World (despite the abundance of resources, technical knick-knacks and gadgetry) but in the Third World, in areas that are practically bookless, or at least don't have an Amazon branch. Something similar might happen with Networked Urbanisms. In the Developed World, Networked Urbanisms' potential might very well fade out under the weight of control and commercialization. The Kindle and the iPhone are the McMansions of Digital Urbanity. Networked Urbanisms could certainly profit from the chronic instability, forced flexibility, selective implementation, DIY and everything-up-for-grabs mindset, creative reuse and living-off-scraps culture of Third World urban realities as much as it already does from its pools of skilled tech workers, cheap manufacturing and shady practices like piracy and copyright infringements. The “digital breach” doesn’t necessarily follow the North-South divide. 8. The Plaza Meave is a huge semi-formal electronics bazaar in the heart of Mexico City’s Centro Histórico, or Historic Quarter. It’s a piece of urban infrastructure straight out of Sci-Fi: an anonymous, damp, smelly and seemingly innocuous building where people hawk and hustle pirated software, stolen or scavenged electronics, tuned hardware, abandonware, orphaned technology, and any random techno-spoils you can imagine. The market often spills over onto the street, and the tech stands mix in with food stalls. 9. I hate the “digital skin” metaphor. 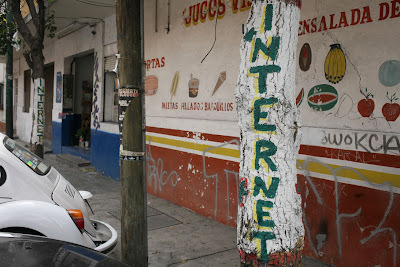 There is no such thing as an ICT blanket that just comes and covers or supplants “traditional” urban dynamics. If you’re going to use the usual cheap organicist metaphor, why not say “digital lymphatic system” or something like that? 10. Most of us are too quick to associate technological change with the brave and the new. But to me, one of the most interesting aspects of the digital onslaught is the novelty with which it feeds the past into the present and therefore the future. The Digital has an uncanny historical bent. It allows for and thrives on richer, more intense and diverse readings of the past. We are unburying the marginal, the secondary, the almost forgotten, the populist, the failed, the ephemeral, the quaint, the curious, the quotidian, the small, the foreign, the frilled, and so on and so forth, and inserting everything into our steady and active forward marches. The Angel of History doesn’t have to fly with its back turned to the future anymore. It can just gaze at the past on its iPod. At the center of the city of Kashgar, on the far western edge of China, is a city of twisting streets lined by mud and brick buildings dating back centuries, to when Kashgar was a trading post along the Silk Road. The Chinese filled in a moat to create a ring road back in the 1980s, and built a highway through the middle of the historic center a few years later, but this historic urban core remained largely intact until recently. Today, Party officials in Beijing have issued a death sentence to historic Kashgar, citing earthquake-preparedness as an excuse for removing the largely Muslim population and leveling the neighborhood house by house as the residents leave. I've never been to Kashgar; and yet, I find this news deeply disturbing. Reading a recent New York Times article about the Kashgar "redevelopment" on the heels of Katia's post about the planned clearance and "redevelopment" of Dharavi yesterday got me thinking about the effects that clearance projects have on the sociocultural fabric of our cities, and wondering what local changes might signal in the broader context of globalization. China and India are the undisputed leaders of the pack in the developing world; anyone looking to learn about how globalization will affect cities in our rapidly globalizing world should look no further than the massive metropolises of these rising giants. 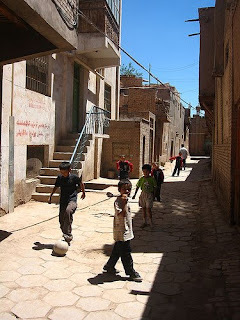 Slum clearance is the name of the game in cities of all sizes in both of these countries; in places like Kashgar, such projects break up ethnic and cultural enclaves, spreading their tightly-knit populations across the sprawling, newer areas on the edge of the city. 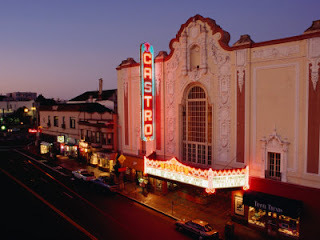 Drew's post on Monday pointed out the danger in not making room for smaller, less commercially-viable artistic and cultural scenes: when the grassroots scene dries up, the entire city's cultural cachet declines. Or, as Richard Florida likes to quote Jane Jacobs as saying, "When a place gets boring, even the rich people leave." 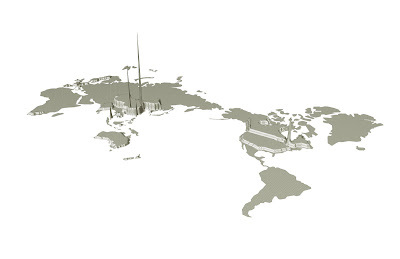 What happens to a globalized city when it becomes boring? Could the decline of cultural diversity eventually undermine growing economic centers? Looking beyond the effect of cultural shifts on cities, what happens to a country in a globalized world when that country becomes boring? As they become more economically established, India and China are edging in on the cultural and economic dominance of the United States and the EU; what happens to the West once these two juggernauts are operating at full tilt? It's possible that everything will go smoothly. It's also highly unlikely. And with plenty of countries lining up for their chance at some record-growth years (think: Brazil, Turkey, Iran, Vietnam, Malaysia), it's the West that's getting increasingly "boring," to extend the metaphor. Perhaps that's why the destruction of a place that I've never seen is so disturbing to me: in a globalized world where cities are the new neighborhoods and countries the new cities, the cycle of cultural turnover could eventually make entire regions irrelevant at a pace we've never seen before. It's important to remember that, while many cities are benefitting greatly from the effects of globalization, there is something to be said for keeping some aspects of culture local. You may have heard of Dharavi by now. 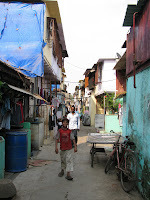 This vast (largely) informal settlement in central Mumbai, which has seen a media blitz after being featured in Slumdog Millionaire, was already under a brightening international spotlight on account of being the focus of a multi-billion dollar government redevelopment plan and possessing the false moniker of being “Asia’s largest slum”. Adopted in 2004 and in action since 2006, the plan slices Dharavi into five sectors to be awarded to giant developer consortiums through a competitive bidding process. In exchange for re-housing eligible households in 300 square-foot flats and providing some requisite infrastructure, amenities and commercial space, developers win the right to build developments on the rest of the land for sale on the open market. Architect Mukesh Mehta – who designed the plan and was appointed official consultant by the Government of Maharashtra (his previous experience was in luxury developments in Long Island) – has widely marketed the plan as a win-win solution: a model of slum redevelopment through public-private partnership to be exported around the world. Residents, local activists, and international critics have called it a thinly veiled land grab. The project is ridiculously lucrative, owing to the high potential commercial value of the land. Once a no-mans-land on a peripheral marsh, 590-acre Dharavi has found itself in the center of globalizing Mumbai, surrounded by three major railway stations, a bus station and the two major east-west link roads. 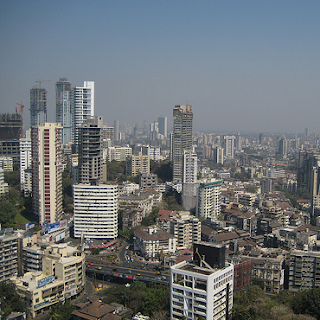 Most importantly, it is flanked by the Bandra-Kurla Complex, Mumbai’s new financial hub, where land values rival those of Manhattan and Tokyo. 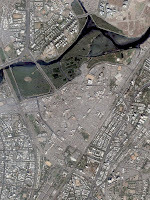 It is also home t o over half a million people, over 80 neighborhoods, and thousands of businesses of various scales. It recycles the great majority of Mumbai's waste and supplies everything from bread to leather goods to surgical thread across the city and the globe - producing USD 500 million in goods annually, according to The Economist. It continues to be the entry point for many of Mumbai's migrants and has been home to many families for generations. It has provided affordable shelter, economic opportunities and social mobility for countless people. I would venture that there are more languages spoken, festivals celebrated, and local organizations operating here than anywhere else in India in a territory of this size. With the exception of the 1992-93 riots, Hindus, Muslims, Christians and Buddhists, from all different states, live side by side in peace. Dharavi is home to waste-pickers, leather tanners, computer science students, embroiderers, body-building champions, bakers, potters, lawyers and doctors. 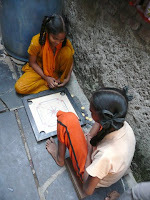 There may be a reason Dharavi is shaped like a heart - it makes Mumbai tick in more ways than one. A recent student presentation I saw called Dharavi a case of “contested urbanism.” It’s a case of contested everything: land, identity, power, aspirations, economics. The conflicts playing out in Dharavi are a microcosm and a test case of whether there will be any space for the poor in tomorrow’s global cities. I have been lucky enough to have a front-row seat on some of the events related to Dharavi’s redevelopment over the last 1.5 years. I helped draft and field test the official baseline socioeconomic survey for Dharavi. I attended meetings of the now-official expert advisory group on Dharavi. I helped run two participatory design workshops in the area. I facilitated visits for Swedish Parliamentarians, the Governor of Sao Paolo, and a number of journalists and student and professional groups. I published two articles about it. Most importantly, I have walked there, eaten there, played tag, danced, made friends. Over the next few months, look out for a series about various aspects of this “city within a city” and the visions (and nightmares) it has inspired. Many of mankind’s greatest achievements are products of the urban cauldron. That the density, heterogeneity and social environment of cities leads to more rapid innovation and idea sharing should not surprise many, but it’s worthwhile to examine and understand the mechanics of the relationship between cities and their cultural products. 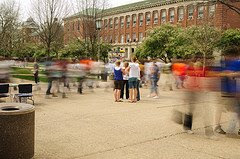 Richard Florida’s Creative Class thesis has garnered much attention since he introduced it in 2002 with The Rise of the Creative Class. That book’s main point—cities that manage to attract members of the “creative class” benefit economically and socially in comparison with cities that don’t—seems to dovetail nicely with the notion that cities are innovation hubs. The relationship between the two ideas, however, may not be entirely harmonious. While the coffeehouses of early 20th century Vienna may have produced the likes of Arthur Schnitzler and Karl Kraus, those literary talents didn’t necessarily equate directly with Vienna’s economic vitality. Likewise, the music scenes that emerged from New York and Cleveland in the 1970’s came out of urban decay, and didn’t necessarily effect a change in those conditions. The Creative Class, on the other hand, is expected to translate that same intelligence into economic activity. When civic leaders develop incentives to attract this demographic, their goal is generally not art for art’s sake—not that it should be. Municipal government should not be charged with giving a city an arts scene, but it’s reasonable to charge city leadership with creating economic activity. That, in short, is what the Creative Class program means for mayors and city councils. So far, so good. City leadership can take a laissez-faire approach to the arts and a hands-on approach to the local economy. The trick, though, is not to stifle the former by attending to the latter. A city can attract plenty of creative types who will start companies and go out to eat four times a week, but the incentives employed to attract those groups might inadvertently extinguish the scenes that don’t pay and don’t spend. If it becomes too difficult to live cheaply in a city, the will to tinker or experiment on a minimal income might dwindle or vanish. The two aforementioned groups need not be mutually exclusive, however, and as planners and elected officials articulate their vision for a given city, they should remain conscious of what both creative classes have to offer and encourage each to exist in that city. Development, use, abandonment, reuse, demolition, redevelopment. Transition states. It seems that everything is in transition, but here I'd like to focus on the span of time between clearly defined places like factories and forests. Development includes combining separate elements into new forms, like making something out of legos. Materials are assembled into buildings, which in turn form cities. This may fulfill a need or function based on reactions to things that came before. In this sense, new things embody the past. When a thing no longer serves its purpose, it is often abandoned. At this point it can be reused in its current form, reassembled into something new, or destroyed. But it can never really be destroyed. Nearly imperceptible parts remain in circulation. They integrate with other things. They may haunt us in ways more tangible than the ways we haunt places. Smoke can be like a ghost that haunts us. 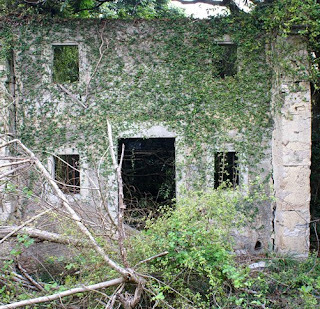 If left abandoned, things are said to return to nature. Not that they ever left, but they can again be transformed into something else. There is a period of transition. For a building, this may be when weeds start to grow around and within it, or when other life forms make it their home. Eventually it may be enveloped by a forest. Plants are often considered therapeutic, like Mandela's prison garden. They are also zoned and regulated. We put them in our cubicles, malls, streets, airports, and they represent healthier locations. Why are the places we work not healthy in their own right? How did the real or perceived separation between healthy environments and work environments come about? What was the transition like? And how do we alter the resulting state? We might consider what happens to the things we develop and abandon. Ideally they are reclaimed, reassembled, or disposed of with care. This is how we prevent a haunted world. Maybe this will help us improve the quality of work sites, or even change the nature of our work. As unhealthy places are abandoned, there is hope for transition. What will this transition be like? In animation, creating a transition requires a momentary destination state. Maybe we can learn from this. If we envision a solution to each problem that confronts us, clearly defining our origin and destination, we should find improved transitions. Many people are doing this through ecologically oriented design, entrepreneurship, policy, architecture, education, activism, engineering, and other pursuits. Inclusive planning can help us work towards well conceived destination states. We'll still face the unexpected, but we can keep experimenting and solving problems as we move closer to where we hope to be. When our grandparents re-imagined the urban environment, we wound up with Pruitt-Igoe and the Parisian banlieues. As a result, popular opinion leans somewhat sharply in the negative direction when it comes to large-scale urban renovations. Still, it is largely accepted, among the current generation of urbanists and architects, that the suburbs are in need of a serious, large-scale overhaul. It's always important, when taking on a major project, to learn from the lessons of the past. But what exactly do the tower blocks and windswept concrete plazas of the latter half of the twentieth century teach us? On the surface, it's that tower blocks and windswept concrete plazas make for dire cities. But beyond that, these stark interventions illustrate quite plainly that it is almost never a good idea to rip down everything and start from scratch. It's too bad, really, because starting a city from scratch is a very romantic and exciting idea. But cities are places that are used by millions of people, in millions of different ways; the longer a place is inhabited, the more people develop routines in and around them. Aesthetics aside, familiarity sets in, and even ugly places can become comfortable and familiar. Modernist urban renewal projects didn't just fail because they were severe and lacked a sense of human scale; they failed, at least in part, because they ignored the patterns and rhythms of the places that they replaced. It's encouraging, then, to see that some of the cities considered the greatest offenders by anti-sprawl camp are starting not only to attempt to densify, but that they are doing so in ways that adapt rather than replace their built environments. Take, for instance, Miami, where a former car dealership is being redeveloped as a highrise urban district, or Charlotte, North Carolina, which has taken several steps in the past few years to actually start acting like a city of its economic stature. A new light rail has been built, for instance, with plans for considerable expansion; density has been encouraged along the transit lines; in one suburb, all new commercial buildings are required to have at least two stories. For a city with a population density of only 2,515 people per square mile (slightly less than that of Bangladesh), these are very promising steps toward urbanization. Better yet, there's been no wholesale removal of the city's existing fabric; just modifications. Other sprawling cities are starting to take notice. Atlanta, the undisputed Capital of the New South since its rapid revival back in the late 1980s, has recently taken note of Charlotte's urbanization, with the Atlanta Journal-Constitution calling the city "a feisty, undersized boxer [that punches above its weight]." No small words from the Rome of Suburban Postwar America. And as that same article notes (albeit in downplayed terms that any smart urbanist will snicker at), Atlanta is currently struggling under the weight of the obscene freeway system that grew as fast as the metro's population. The city is already saddled with several eight-lane freeways (that's eight in both directions, for a total of 16) and the Georgia State Assembly seems to be making transit decisions using a 1965-vintage playbook. With New Jerseyans now complaining about the gridlock in the Big Peach (which they actually do in the AJ-C article), Atlanta's mobility problems are looking like a very serious liability. Charlotte, meanwhile, has half the population of Atlanta but less than half the congestion. It remains to be seen if Charlotte will ever catch up to Atlanta in terms of international economic stature, but even if it doesn't, Charlotte can lead the way as a slew of sprawling mid-sized Southern cities (the entire region is notorious for its sprawl, after all) seek to densify and re-work their urban fabric. By taking the lead on lifestyle issues, Charlotte could become the capital of the New New South. Housing Projects have always been an interesting issue for urban planners, designers, and architects to discuss. The problem of poverty is a big one, and one that has yet to be solved. There have been many models, yet none of them have been hailed as wildly successful. So today, many older housing projects are being torn down, demolished, and replaced with mixed income housing and strip malls. Basically, the idea is to replace these vertical ghettos with low rise housing with a portion dedicated to low income housing. For the past nine months or so, Chicago has been trying something a little different. The Chicago Housing Authority has taken their 16 building Dearborn Homes low income housing project on South State Street, and is attempting to "beautify" the structures with pediments and keystones. It isn't clear how the units will be doled out when finished, whether it will all remain low income housing, or if they will try to sell most of the units as luxury condos and leave a percentage for low-income housing. "Dearborn Homes is currently operating as one of the CHA’s “relocation resources,” providing capacity for residents who have moved from other developments undergoing redevelopment or rehabilitation. Plans for the property’s future are currently under consideration. " Whether these homes become luxary condos, or maintain thier public status, interesting discussion is sure to follow. Will people buy these units that were once considered slums? Will pediments and keystones solve the problems that exist in public housing? We shall see. 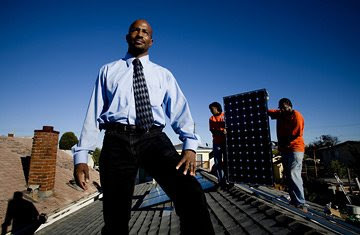 I'm not sure if there's anything left to say about Van Jones, the Obama administration's special adviser on green jobs. An article by Elizabeth Kolbert details his efforts to address urban poverty and global warming by putting people to work on green infrastructure projects. Jones explains his plans in a recent NPR interview. His work has captured the imagination of many, but does it represent a promising new form of urban environmentalism? Jones is a political star. After graduating from Yale Law School in 1993, he moved to the Bay Area and began advocating for human rights in urban communities. He fought effectively to keep people out of jail, in gainful employment, and safe from police brutality. 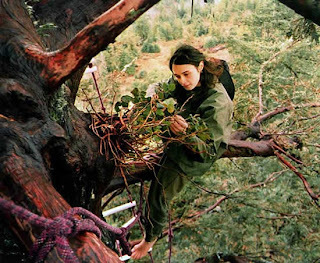 Jones traces his environmental interest to a talk by Julia Butterfly Hill, explaining that he admired and identified with her efforts to save a redwood tree. The two found common ground in helping people and things considered disposable. At a meeting with Nancy Pelosi in 2007, Jones brought up the need for a Clean Energy Jobs Bill. The idea caught on and was included in the Energy Independence and Security Act less than a year later. He has since published a book called The Green Collar Economy: How One Solution Can Fix Our Two Biggest Problems. In today's political climate of economic crisis and recovery, this concept makes environmental concern more politically viable. It has rallied unions, corporations, politicians, and local activists behind alternative energy as an agent for job creation. Still, there is skepticism about the merits of combined solutions to global warming and poverty. 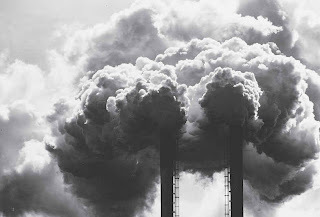 Some see a lack of environmental concern among less affluent communities as a major impediment. Others point out that environmental conservation places disproportionate strain on people living in poverty. Some policy experts see the two problems as too distinct to be addressed with a joint solution. Jones responds by explaining the benefits of a holistic approach that encourages combined efforts. He considers poverty alleviation without environmental consideration a short-term fix, resulting in greater problems down the road. He adds that people living in poverty will support environmental causes that address their most pressing needs. Jones looks for points of agreement and makes the most of them. He peppers his speech with clear and memorable phrases that express shared interests, often playing with different meanings of the word green. At the same time, he's not shy about applying pressure against powerful opponents (skills sharpened fighting police brutality in the 1990s). Of course, it will take more than consensus and coercion for his current efforts to succeed. The jobs will have to be efficient and provide better sources of energy. A certain amount of financial loss is acceptable in return for long-term gains, but the gains have to materialize. Given the widespread support for these ideas, the timing is right to make them work. So, is Jones at the forefront of a new urban environmentalism? His work is different from environmental justice movements that have fought to improve ecological conditions in marginalized communities. Jones adopts the discourse of sustainable development, with a focus on poverty alleviation. He aims for consensus around human needs, rather than proposing a radical alternative to current forms of environmental management. As far as labels go, his ideas integrate three potentially conflicting -isms: social, capital, and environmental. His emphasis is clearly on the social, but only in the sense of prioritizing human concerns. If this renders him a socialist, then even Milton Friedman would be socialist. In reference to the urban, now that Jones is advising on green jobs for the entire country, his focus will have to expand to include suburban and rural communities. He has successfully articulated a vision that links inclusive economic prosperity with long-term environmental care. While this isn't new urban environmentalism, it is something more comprehensive and very worth pursuing. Sense of the City Winner: Congrats ssales of San Francisco! It all came down to a close race between ssales' San Francisco, sallycat's Buenos Aires, and DeborahMcCoy's Chicago tours, which between the three of them captured a full 50% of the 99 votes cast in Where's Sense of the City Challenge at NextStop.com. The winner when all was said and done late last night was ssales, a "hoop goddess and aspiring lawyer" from the City by the Bay whose tour of her town struck just the right balance between quirky sights, hotspots, and parks to grab 22 votes and earn her the top spot bragging rights and a $50 Visa gift card from NextStop. All of us at Where would like to extend our hearty congratulations to the winner, and to thank everyone who entered and voted. It's been fun to get a sense of how you experience your cities these past couple of weeks -- and what a mix of cities it was! The Sense of the City Challenge drew 17 entries from San Francisco, Buenos Aires, Chicago, Prague, Sydney, Milwaukee, Vancouver, Gold Coast, the two Portlands (Oregon and Maine), Athens, Phoenix, Pittsburgh, Austin, and Bali. Thanks, also, go to the folks at NextStop.com, particularly Isabel, who set this whole shindig up, and Kevin, the programmer who built the nifty widgets that have been up on the Where homepage during the contest. The widgets will stay for a few more days for anyone who wants to swing over to NextStop to check out the Sense of the City entries (though voting is now closed) and any of the other challenges that NextStop is currently running. Bon appetite! "Participatory design" seems to be the mantra of the current generation of urban practitioners working with low-income populations. There is growing consensus that local communities should be involved in projects that affect them, both for the sake of their efficacy and with an eye to inclusive cities and governance frameworks. You'd be hard-pressed nowadays to find a development agency pamphlet, municipal government plan, or urban design curriculum that didn't pay homage to "participation." Although the rhetoric all sounds pretty, the way in which the concept is understood varies widely. In bare-bones cases, it may mean simply keeping users informed about a project. At other times, it may involve getting majority consent. in other situations, designers may study the needs of users and incorporate their interpretations into the project. Going further, there may be processes of community consultation of varying depth. Participation can also involve inclusion of civil society and, less often, grassroots leaders in advisory or decision-making capacities. Much less often, participation means working in-depth with local groups at some or all stages of a project, from design to implementation to post-construction work. The model of participation employed hinges in part on design professionals' understanding of the role of the architect in such projects. Is it to innovate and present people with what the professional considers a better space? Is to study and interpret local conditions? Is to to balance user needs and desires with considerations of design, engineering, costs, regulations, etc.? Or is to facilitate a bottom-up process of design and implementation? Equally if not more so, the mode of participation possible depends on the ways in which the community itself is organized. 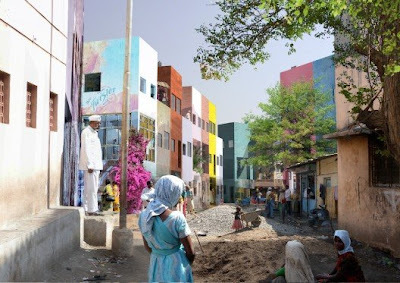 In Pune, India, the ground has been laid for a precedent-setting model of community participation in housing design and slum upgrading. There, a network of poor women's collectives known as Mahila Milan ("Women Together") are planning to mobilize around 700 families in 7 slums to participate in design and construction to upgrade their homes as part of an incremental housing strategy developed in partnership with SPARC, an NGO that supports their work (and which I work for), and an international group of architects led by Filipe Balestra and Sara Göransson. 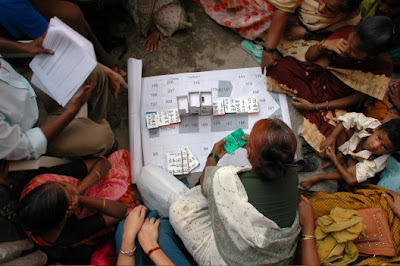 Housing designs and settlement layouts will emerge out of a participatory process facilitated by Mahila Milan, which has been active in the communities through savings activities and other community work for over a decade, in most cases. The strategy uses house models and other visual aids as tools for participatory design and promotes cluster development to enable consensus on rearrangements that will increase pathways and public space. A major aim is to create structures that will allow families to increment their homes over time and to maintain the existing settlement layout as far as possible to preserve social networks and the urban fabric. In the project, Mahila Milan will also lead a community mobilization process, complete household and plane table surveys, secure consent letters, and help manage construction, which will be implemented through local labor. The idea is that the pilot project will be a springboard for Mahila Milan to explore this process in other locales that they work in across Pune and India and to manage as many aspects of the process as possible. How is it that grassroots collectives of poor women can participate in the project to such an extent? To understand that, you need to look back to 1984, to the pavement slums of Mumbai. That was where a group of development professionals that formed an NGO called SPARC mobilized the first Mahila Milan groups organized around credit and savings activities. SPARC was aiming to develop new relationships with the urban poor and increase the participation of women in order to ultimately promote their mission of improving access to shelter, land and basic amenities for the urban poor. Savings and credit increased financial assets, but more importantly, mobilized women into networks and built their confidence and financial and leadership skills. Savings and credit became the first core activity in a series of rituals that are both ends in themselves and means for building the capacities of the poor to proactively develop strategies and negotiate around issues of housing, land, sanitation and other basic habitat needs (these include slum surveys and mapping, peer exchanges, model housing exhibitions, demonstration construction projects, and more). Pune's Mahila Milan started with savings in 1997 , but gradually built their capacity to take on construction projects, large-scale surveys, and even a city-wide sanitation program in partnership with the government. It is only because of these decades of groundwork that Mahila Milan are poised to take on this project. The type of involvement here is "empowered participation." Because Mahila Milan have a vast organizational base; skills in financial management, data collection, construction, and collaboration with government authorities; and staying power, they are able to lead a process in which communities are genuine partners rather than survey respondents or focus group members. Most importantly, Mahila Milan has the capacity to institutionalize and build on their learning from the partnership with design professionals to take work forward. In the absence of a group like Mahila Milan, designers would likely be limited to talking with men, particularly those with local power, who would co-opt the process when a question of money was at stake. It would not be possible for designers to organize the community in a way that enables deep participation, and local people would not have the skills or systems for completing maps and surveys, collecting beneficiary contributions, and managing construction. Once the architect left at the end of the project, the process would end rather than being scaled up. Because obstacles are the rule rather than the exception with housing projects in slums, it is not guaranteed that the project will unfold as planned. However, the conceptual groundwork has laid and partnerships formed give us a hint about how participation can genuinely become a reality rather than remaining a cute catch phrase. 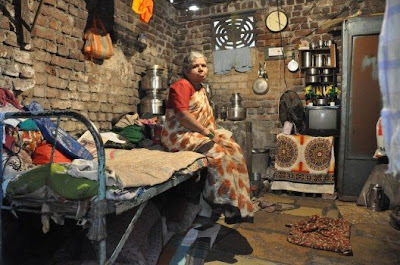 Note: The third partner besides SPARC and Mahila Milan in what is known as the Indian Alliance is the National Slum Dwellers Federation (NSDF). The Alliance works in 72 cities in 9 states across India and is an affiliate of Slum Dwellers International (SDI), a network in over 30 countries. Why do we love cities? One of the main reasons is surely that cities create opportunities to meet many different people, and many different types of people. The notion of a rural-urban cultural dichotomy has existed as long as cities have, and the distinction has always been characterized by the diverse social opportunities that cities offer. Smaller towns undoubtedly provide more homogenous social climates than cities, partially because of sheer numbers—the fewer the people, the fewer the types—but cities have homogeneity problems of their own. The culprit: a phenomenon author Bill Bishop and the Economist have called the Big Sort. As a society, it seems, we are getting better and better at seeking out those who are most like us and surrounding ourselves with those people. Kazys Varnelis writes on his blog that “mobility is leading individuals to cluster in communities of other like-minded individuals.” Communication technology, especially the Internet, certainly facilitates this sorting process. The mobility Varnelis describes finds its ultimate expression in the instant communities we form online, and the tools that help us comb through cyberspace allow us to hone in on exactly what we’re trying to find. In short, the Internet allows us to sort ourselves more effectively than cities ever could. Alexander’s solution makes perfect sense for a physical city, but given the layers of information and digital connectivity that overlay contemporary cities, it may not be so simple anymore. Yes, the Internet lets us move from subculture to subculture more easily than in the past—more easily than in the most vibrant and diverse city—but that same technology lets us ignore other subcultures just as easily. One of the virtues of the physical city is that it forces us to face others in realistic way, unpleasant though the experience may be. As long as this keeps happening, we'll remember how to live amongst those who approach life differently than we do. A true mosaic of subcultures, in other words, is an urban asset worth preserving. Sense of the City Challenge - Only 2 Days Left! Attention all Wheresters: our Sense of the City challenge at NextStop.com is quickly coming to a close. 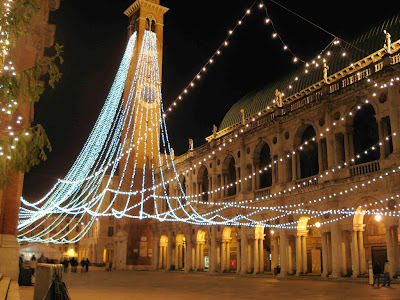 Only two days remain in the competition, so if you haven't had a chance to check out the dozen entries posted by your fellow readers, make sure to get over to the contest page before midnight on Wednesday to check out personalized tours of cities around the world and vote for the ones that you think best convey a strong sense of place. The winner (who will receive a $50 Visa gift card for their top-notch e-tour skillz) will be determined entirely by public vote, and anyone can put in their two cents by registering at NextStop (which is simple, quick, and totally painless, scout's honor) and voting before the contest closes. 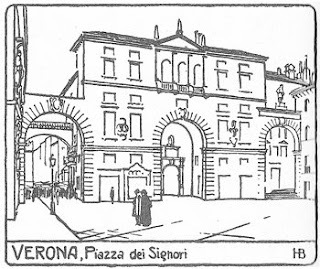 Camillo Sitte thoughtfully explained the interior qualities of his favorite public spaces. Though generally open to the sky, they were surrounded by varied building types and furnished with stairways, arches, and sculptures. They were intimate and often irregular, with engaging views on all sides. He lamented the abandonment of plazas as daily life moved increasingly indoors. Today life moves increasingly online, but the places we inhabit -- whether physical or virtual -- are no less important. Even looking out the window affects our state of mind. This is hard to measure, but it's fairly clear when we feel comfortable, depressed, inspired, fearful, or healthy in response to our surroundings. Sitte envisioned outdoor space that didn't feel desolate. When we think of The Great Outdoors, we usually mean forests, mountains, rivers -- not cities. But in many ways forests have more in common with cities than with prairies or deserts. They are full of proximate activity, and contain many unique places. I wonder how cities might eventually be considered part of The Great Outdoors. It would be a stretch to think of online places in Sitte's terms, unless we include video games. Many games offer convincing and imaginative environments. They might help us understand the way people interact with physical spaces before building them. Although it doesn't seem possible to get a feel for a place before it is built, studying people's use of virtual settings can inform key decisions. This sounds expensive, but could save money in the long run. Whether physical, virtual, or somewhere in between, environments affect the quality of our lives. Considering the factors that contribute to positive experiences, as Sitte did, is of great value. His observations have inspired generations of architects, planners, and concerned citizens to create and preserve beloved places. Following up on our interview with Hilary Sample on the subject of global health crises in urban contexts, we've moved from the backdrop of her research and the specific responses she's studied to a more speculative perspective on the issue. If you haven't read the first part, scroll down or click here. Where: You've identified a combined research/corporate drive behind the Biomed City phenomenon (those of you who haven’t, go download and read Hilary’s short essay on the BMC here). Due to current political and economic events, we see a tendency towards a heavier and more direct government involvement (particularly in the U.S., but in other places as well) in the different areas that are the backdrop for BMCs: economic policy, health care and infrastructural development. Do you see this affecting the nature of the BMC? For the good or for the bad? Hilary Sample: We can look to Singapore as an example of the government-driven development, specifically in the Biopolis project. The masterplan was designed by Zaha Hadid, which had an extensive landscape and programmatically included a lot of public functions, along with connection to the subway system-extending it into the Biopolis. Subsequently not much of the public components have been built, but the project continues to grow with frequent announcements of new corporations renting space. It is a private interest project supported by the government. Singapore’s government does not place any restrictions on scientists working with stem cells, and this is one factor driving the brain gain and science boom in Singapore. 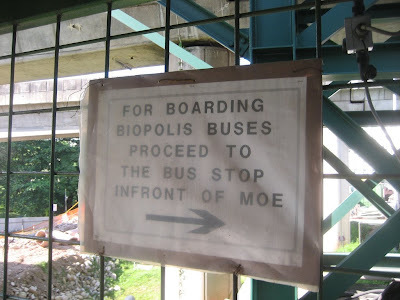 Interestingly, universities such as Johns Hopkins, which have space problems at their campus rent space in the Biopolis. In this case, we see branding of health taking on new structures. In the United States, it seems difficult to think that the private sector would begin to support innovation in terms of adopting a clear social agenda with respect to urban health development, even though there are tremendous needs and opportunities to rethink the way our cities could function with respect to health. The current moment does seem like an opportunity for government action, not only in terms of providing access to a better health care system, but for a complete reframing of the idea of health, at least in this country. I think this could be supported by both Federal and city governments and inspire private developments. In my opinion, we need radical change in the way health care is promoted and in the physical spaces in which treatments and care are given. I’m interested in how architects and designers can rethink the city as we know it and develop new systems and forms that are civic, not just expanding the existing hospital building by adding to it. The image of the hospital from what it used to be has become unrecognizable. Hospitals are often referred to as cities in their own right, but in my opinion, they take the worst situations from cities as their examples. We need new paradigms, especially with the super hospital being developed as a mega-scaled building. W: Another revealing aspect here is the geoeconomic breach one perceives between "prepared" and "unprepared" cities. With the exception of China, maybe, BMCs are apparently limited to developed countries. At the same time, the cities that are most vulnerable and more exposed to health threats of this nature are those in underdeveloped countries. What do you think? HS: Largely, I believe this is true; we have a huge division between prepared and unprepared cities. But the idea that Third-World cities are always unprepared or that First-World cities are prepared isn’t always the case. The SARS outbreaks showed us this exact problem. For instance, Hanoi — one of the poorest and least developed cities in terms of urban health developments — actually had one of the best responses to the SARS epidemic. It was the first city to get a hold on the spread of the virus. They basically did this by isolating all SARS patients to two hospitals on the outskirts of the city. In Beijing we saw the construction of a hospital in 8 days. I wouldn’t say it is a regional trend, but in this one instance it shows that at a local level spatial practices worked well. I don’t think we can say it is an either or situation. The SARS virus was identified through the collaboration between many scientists in many different countries. The virus itself spread quickly, but so did the effort of scientists to find an answer, which relied on a spatial network of laboratories and governing agencies. The spatial organization of both are extremely important. W: Do you think a different version of the BMC could arise in cities that don't have the funds or the resources to build huge hospitals and research centers? Maybe one that opts for networked, flexible, mobile infrastructures that could be deployed whenever and wherever needed, including the poorer cities of the South? HS: This has been the subject of a graduate research seminar I taught at Yale called Design and Disease. An amazing feature of our interconnected world is that we are learning more and more about situations of impoverishment, poor health, and the lack of establishing life-sustaining infrastructures. In the seminar, the students made a kind of index of building types in cities around the world, looking at hospitals from Hong Kong to Soweto, pharmaceutical companies (Roche vs. Novartis in Zurich) and the performance of architecture. 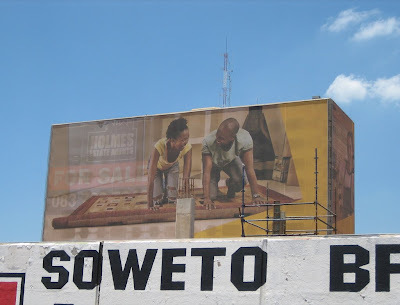 One of the most surprising instances we learned about is in Soweto. The Bara Hospital sees more than 2000 patients a day, with a large population of AIDS/HIV patients. It claims to be the largest hospital in the world, but this is a hospital that has been built within an aging British Army barracks, and in the context of limited access to resources, including electricity. Here a complementary support system would be a good option to support what little infrastructure and physically working buildings there are. So maybe flexible and mobile structures are more economical or efficient when you have nothing better, but really what all cities need are both permanent and mobile health support. New York City is an example that has both some of the leading hospitals in the world, but also significant mobile infrastructures, from asthma vans to PODS (points of dispensing systems in the event of an epidemic). It’s significant that cities with permanent, large-scale buildings also have equally and burgeoning mobile systems, suggesting that both are truly needed. But how can we make these decisions as designers? In my opinion, it all comes back to the practice of understanding how cities perform at the most detailed level, and examining the diseased city is essential. Mapping activities of urban disease is essential. W: This last outbreak in Mexico generated an enormous amount of activity on the Web: everything that we’re starting to grow used to now (real-time reporting on Twitter, constant updates on Google News and recommendations delivered directly from institutional web pages) but also some fascinating tools we really hadn’t seen before (I’m thinking of the Google Flu Trends project). Do you think we will see more alert systems, diagnostic means, protocols, open-source and web-based strategies in the future, or, we could say, a “smarter” response strategy? HS: We see scientists working with a kind of virtual epidemiology, and they’re doing this more than any designer or spatial planner. For instance, I have a case in mind in which researchers studied a hypothetical outbreak of smallpox in Portland, Oregon, trying to identify social trends in an urban disease situation. The study included specific maps of the transportation infrastructure, and looked at how people moved in the city. This is an extraordinary spatial analysis that would be a powerful tool for architects, planners, and designers. Portland is a city that has made interesting urban decisions tied with how to better access its health-care infrastructure, including the Portland Aerial Tram designed by AGPS. By comparison, there are actually very few studies or projects that I have seen looking at the contagious disease in cities by designers. I can think of two important works that shed light on the SARS outbreaks. The first is the “SARS Atlas” by Fabrizio Gallanti and Francisca Insulza published by Domus in 2004, which indexically mapped disease hot spots in cities. The other is Julie Rose’s essay in Log, a description of the urban spatial shifts that SARS produced in Hong Kong. The spatial and social consequences of a disease reveal the performance of a given city. With the recent 2009A/H1N1 outbreak, just five years after the SARS outbreak, it seems likely that we are going to see more frequent events of this kind. In the end, if hospitals fail in an actual emergency, then suddenly subways are empty, people are in their cars or at their family’s house in the suburb, the city fails, the economy fails and it takes years to recover. The way we design our buildings and cities should be rethought to include social spaces that work. W: This last question is probably more abstract (even emotional), but I think it's just as relevant in terms of spatial effects. I would like to discuss this recurring issue of fear, not only in terms of the outbreaks themselves, but regarding measures taken to deal with crises as well. You mentioned something about this regarding the resistance some of these public health projects have met in cities. It’s interesting to see how these developments might generate suspicion in themselves and cause a stir, like a high-security prison or a nuclear plant probably would. There is also a whiff of mid-century paranoia about the whole situation, the fear of the looming dangers of density and the city core (you mentioned that many of the projects are built in secluded and distant locations). In Mexico City lots of people actually fled for cities nearby over the weekend when the crisis was announced. What do you think of all this? First, the building-up of the urban core with super hospitals and biosafety labs, new transit connections between these centers, and the location of research laboratories within the city rather in remote suburban parks. In the U.S. many developers in the sector are abandoning the model of suburban corporate park in favor of building in the city. 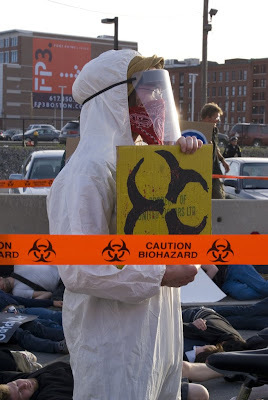 Some cities have begun to build their own biosafety labs. Some of these laboratories test deadly viruses, like the Boston case we mentioned before. Ultimately, it winds up being housed in a non-descript building sited within a hospital district, but the surrounding neighborhood is considered to be a low-income area. This raised many questions at the time of its construction. The second trend, which we see mostly in South East Asia, is the building of remote hospitals, far from the city core, with architectural renderings that show them surrounded by green spaces. In the end, both of these urban strategies are driven by fear. 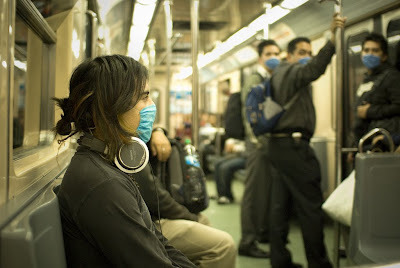 It isn’t surprising that people fled from Mexico City; this was the same reaction in Beijing during the SARS outbreaks. How people react to crisis is unpredictable, and so, at least for designers, it seems we can only study what has already occurred. Again, here I think that the most significant spatial studies are being developed by scientists or artists, not architects or planners. In 2005, researchers Nina Fefferman and Eric Lofgren, examined the video game "World of Warcraft” and the introduction of a virtual virus within a controlled environment. The virtual virus quickly and unexpectedly corrupted the virtual world, and learned that there were many similarities between the virtual and real life scenarios. Christain Nold, an artist, has been working on a bio-mapping project that tests emotional responses of individuals in urban contexts. These studies result in maps that give us a whole new geographic perspective of the city. What I appreciate about this study is that we see a range of emotional responses that correspond directly to the built environment. Again here there are lessons to be learned about the performance of our constructed environments. W: Thank you so much Hilary, it’s been great talking to you! I think we’ve covered a pretty good spectrum. Now let’s hope our Where readers out there have more to add to the discussion. 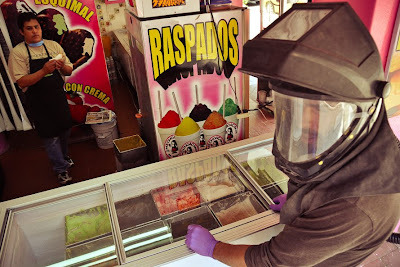 The global crisis unleashed by the 2003 SARS outbreaks seemed all but forgotten in most parts of the world, until the threat of a global pandemic resurfaced in the media (old and new) only a few days after the appearance of a mysterious, unknown and presumably deadly virus in Mexico City. In a crazy turn of events, the megacity was practically shut down and brought to a standstill for days, with consequences that we are only beginning to come to terms with. What have we learned from these massive public heath crises that are a product of our interconnected, now predominantly urban world? How are governments, institutions and organizations (at the local, national and global scales) reacting to these crises in terms of urban policies and design? We’ve asked Hilary Sample, Assistant Professor at the Yale University School of Architecture and partner of mos, to comment on these issues, taking her upcoming book, Sick City, as a point of departure. Where: First of all, can you give us some insight on the subject of your book, Sick City? What exactly would you say is a "sick city", or a "healthy city" for that matter? 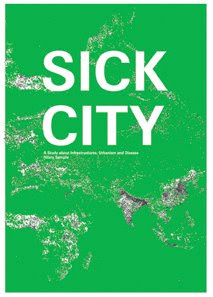 Hilary Sample: Sick City is a book project that began during the SARS outbreaks in 2003. I became interested in the sudden, urban shifts that took place as a result of the outbreaks while I was living and teaching in Toronto, and examining the post-event effects. The book is not only about SARS, it starts with SARS as the first major global health crisis event in the 21st century, but also focuses on other urban crises; looking at the problems and solutions that result from contagious disease situations or threats, from hurricane Katrina to AIDS. Essentially, I was interested in the unpredictable events that were not malevolent causes, and the urban remedies. The SARS outbreaks became true public crises in March 2003, within weeks, if not days, of the start of the Iraq War. 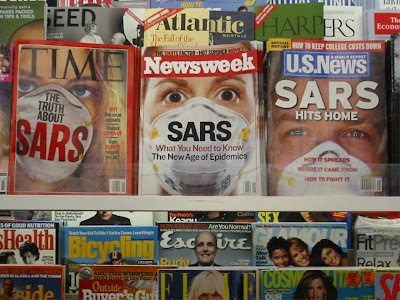 The media focus in North America was practically concentrated on the war up until the SARS outbreaks, which became a focal point of news coverage in Canada, and it seemed to me that this divide between terror and disease was significant in its own right. Each would have (and has had) a great effect in terms of socioeconomics, health and urbanism. It was interesting to see the difference between the U.S.’s concern regarding terrorism and Canada’s concerns about the spread of SARS. There is no question that war is so devastating because of its physical consequences, I think, but in the moment, disease outbreaks are no less significant, though the aftermath is usually subtler and as a result seems less significant. 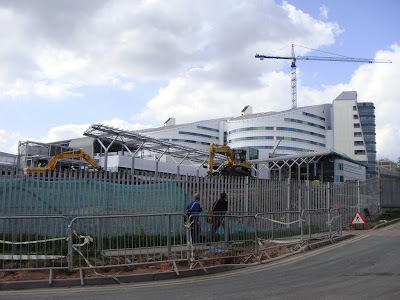 Still, the consequences of a disease like SARS have had major urban effects, such as the development of the Biomed City (we get into this further on in the interview). In the terms of the book, a sick city is one that has undergone an unexpected change as a result of disease; a city whose life-sustaining infrastructures have been affected beyond their intended performance. The book also looks at the governance of world health, the agencies and foundations doing this work and the development of the health headquarter building, a new typology that emerged in the twentieth century, which defines the way worldwide health is organized. (An early paradigm is Le Corbusier’s Ministry of Health and Education building, in Rio de Janeiro.) Sick City looks at building types associated with health and examines their performance. It’s a kind of loop, looking at the sick city, its sick buildings and the organizations that renew and restore the city, and then looking at buildings that are meant to facilitate urban health. 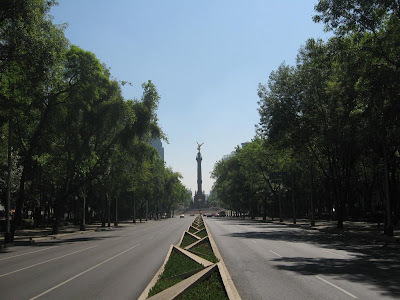 Reforma Avenue. One of the main (usually crowded) throughfares in Mexico City. W: What is your reaction to the current 2009 A/H1N1 flu affair? Where do you see our cities standing compared to the first SARS outbreak in terms of being prepared (or not) for this kind of public health crises? HS: Disease is unpredictable, but there are social and spatial patterns that emerged with SARS and are emerging again now: school closings, hospitals restricting access to only the sick or even designating parts or entire hospitals for the infected, scanning at the airport. The big question will be how these events are handled and what they look like. With SARS, everything happened so fast that hospitals, for example, were closed or cordoned-off, wrapped in yellow tape, limiting entrances, looking more like a crime scene than a hospital. These instances caused more fear and panic than were probably necessary; keeping individuals from going out in public, from doing normal activities like eating out or taking public transportation. This fear and resistance to going out in public has significant economic impacts on a city. Compounded with a weak global economy, this will raise new challenges to the operation of public health facilities. In the U.S. and Canada, there has been a great push to build new research space in cities for the purpose of identifying contagious diseases to pollutants. W: Can you give us some examples of how these global health crises are changing our cities in terms of urban design and infrastructures? I imagine that certain building types (hospitals, quite obviously) would be almost immediately affected. HS: The hospital is our most contested urban building type today. Unlike any other building type within the last fifteen years, hospitals have been the site of significant urban trauma, form war or terrorist targeting, to takeovers and quarantines. At the time of the SARS epidemic, the hospital was the place where most of transmissions of the disease occurred, as the virus often spread to health care workers, other patients and visitors. In the aftermath of Katrina, in New Orleans or Galveston, many hospitals closed and remain closed. At the same time, we see different types of hospitals on the horizon, a new breed of “super hospitals”. We see this idea of the super hospital establishing itself in the U.K., and plans are under way for this type of development in Montreal. There is a project under construction in New York City, the East River Science Park (ERSP), which is really anything but a park. It is a research institution that is being built adjacent to one of New York City’s most celebrated hospitals, Bellevue Hospital. Unlike its counterpart in Toronto, the ERSP has little space dedicated to the public. Toronto’s MaRS project, an addition to the original 1913 Toronto General Hospital building, includes a public atrium which links into the rest of Toronto underground system, a public auditorium, and even a food court. The hospital became too costly to repair for use as a hospital, and now has been renovated and added to for office and lab space. 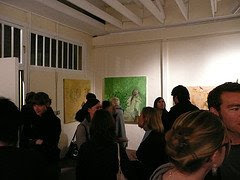 It really acts as a place for meeting in the city. Even though both projects are being built by the same developer (not coincidentally) they are fundamentally different: MaRS promotes an exchange between the public and the user, where ERSP has strict entry controls and checks. Here we see the difference in mindset between the US and Canada, one city affected by 9/11 and the other by SARS. One would expect the opposite kind of spatial response — a prophylactic situation emerging where germs had been spread — but in fact Toronto’s MaRs development has public spaces and links to both the Toronto General Hospital and the Toronto underground system and subway. W: At an even larger scale, another extremely interesting concept in Sick City is the idea of the “Biomed City” you mentioned earlier. What exactly is a BMC? Does it actually exist somewhere, or is it only hypothetical? HS: In the book, we see the BMC as a 21st-century urban paradigm emerging from New York, to Toronto, to Singapore. The term has been adopted by various cities, where certain areas — and in some cases entire cities — are adopting this “brand”, placing an emphasis on health and its industries as the new economic driver of the city. One interesting thing to note is that in cities less prosperous, such as Buffalo, New York, the health-care industry is now the largest employer in the city. In response to the SARS epidemic, Toronto reworked its most visible hospital and introduced the program of rentable office and laboratory spaces dedicated to health research in the downtown urban core. Typically, this kind of work space was only seen in suburban corporate parks. With BMC strategies, we see unlimited configurations of health and work spaces converging. In Toronto, there has been an all-out effort to build civic buildings at that heart of the city and the U of T, both of which converge at one corner of the city, with new buildings largely built of glass, emphasizing a literal transparency, housing new spaces for health research. There were three reports written after SARS in Toronto, all of which cite a lack of transparency in the health system. Certainly building transparent buildings doesn’t indicate that a city will be better prepared, but it does demonstrate that research related to health is no longer being done in opaque and distant locations. The sites of these outbreaks are typically the city centers: this is where the capacity for care, research and a quick response is needed. New York, Toronto, Rotterdam, Beijing and Boston, among others, have all built their own biosafety laboratories, which means they don’t need to rely on sending disease samples to national labs and wait for a response. These tests can be performed in the heart of the city. The development of these labs — some of which house lethal viruses — has been strongly contested, particularly in Boston. W: It’s really interesting to see how all of these factors you mention have resurged in the Mexico City outbreak: problems with lack of transparency and coordination, as well as the issue of immediacy and speed (since Mexico did not have the capacity to identify the new strain, it had to send samples of the virus to Canada and the U.S. before it could be properly detected, delaying the response for days). HS: This reflects the importance of establishing critical life-sustaining infrastructures (hospitals, research laboratories and mobile care) that should all be available in any urban environment. After the SARS outbreaks, the cities that thought they were the most “prepared” in almost every case found short comings. Many of these cities had major plans on the drawing board, but I have no doubt that in the aftermath of SARS gave them an even stronger and urgent reason to update the city. I don’t think this suggests that we should adopt an emergency urbanism attitude towards designing in the city, it would not be practical to design for full-blown pandemics, but as we’ve seen in the trend of medicine to look to prevention, design can facilitate new methods of spatial organization. I think this is particularly true at the site of the hospital, and the way the general hospital and specialized hospitals are organized in the city today. W: We’ll keep discussing these and other issues (including government involvement, networked responses, flexible infrastructures, and the gap between prepared and unprepared cities) in the second part of this interview. Stay tuned. In the meantime, you can download a PDF version of "The Biomed City" from the Actar blog.